Oomph=Spirit is an education based non-profit created to support and nurture communities, individuals and animals. At Oomph=Spirit, the commitment to taking time to gather, connect with personal truth and spirit, and discover deeper ways to contribute to the well-being of our world is accomplished through healing and education. The topics we cover range from racial and economic diversity and inclusivity, as well as our belief that we are only as great as the lives we touch. Fibonacci Arts Collaborative – a highly talented group of artists who come together, use artistic mechanisms and events to raise awareness for important causes. 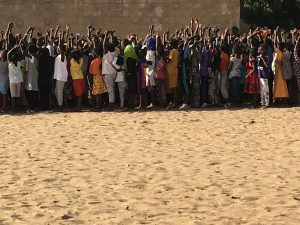 Projects span from greater Denver to Senegal. Counseling – Rev. Claire R. S. Nord has 15 years experience in Pastoral Counseling covering aspects in grief counseling, life coaching, and spiritual guidance. Continuing Education – Heidi Peterson, MA & Rev. Claire R. S. Nord offer workshops on working with horses to improve communication and incorporate the Horse into pastoral practices or curriculum. 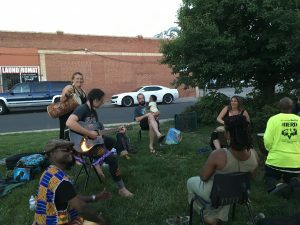 Drumming In the City – Drumming In the City is an all inclusive community outreach program that is based in performing arts. 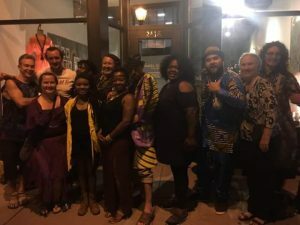 We aim to give a voice and a face to all individuals in the Denver Metro area; we create a space where the beat of the drum brings our hearts together as one. Horses & Healing – Experience the horse in an entirely different way through intimate quiet sessions. We find that this is an emotionally healing, and physically empowering experience. Oomph=Spirit – We specialize in working with seniors, hospice patients, and their families. We invite the community to join us for educational sessions.